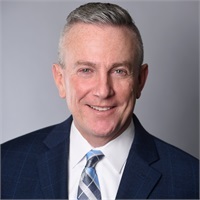 Richard Gopin | Concordia Financial Group, Inc.
Richard Gopin graduated from the University of Delaware in 1984 with degrees in both Accounting and Finance. He started his career as a tax advisor working for several CPA firms. He obtained his CFP® designation in 1990 and worked for several large financial companies before becoming an independent advisor in 1998. In 2004, he expanded his practice and formed Concordia Financial Group, Inc. Since then, Concordia has established working relationships with an experienced Estate and Elder Care Attorney, as well as a full-service CPA firm. This has resulted in Concordia becoming a complete "Solutions" company, capable of assisting both individuals and business owners in every facet of financial planning. Rich believes that knowledge is power, and in doing so, empowers his clients through education to be able to make the right choices for securing their future. Other certifications and professional memberships include: Certification in Long-Term Care (CLTC); National Ethics Association; Financial Planning Association (FPA) of New Jersey; Asset Protection Society; and The Wealth Preservation Institute.